The Touch Bar equipped MacBook Pro stores additional data for the Touch Bar and Touch ID sensor that is not erased by default if you format a Mac or reinstall MacOS system software. Thus, if you want to completely clear out and erase all Touch Bar data, you will need to manually intervene via a multi-step process to clear out Touch Bar specific data from those MacBook Pro models. This is obviously only applicable to Macs with the Touch Bar, and it’s probably only necessary if you plan on erasing the Mac, reinstalling MacOS, resetting a Mac to factory settings, or some other similar situation where you either want all personal data removed from the Mac, or you are going to be selling a Mac or transferring ownership, or even sending it in for service. Aside from those situations there is likely no need to ever delete or erase Touch Bar data on the MacBook Pro with Touch Bar. 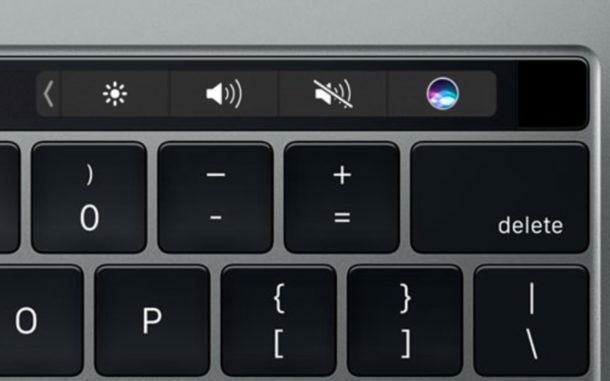 Once the Mac has restarted the Touch Bar data will be removed. And yes you must boot the Mac from Recovery Mode (or Internet Recovery) to accomplish this task, thus you may want to do it before resetting a Mac to factory default settings or performing other similar maneuvers to reinstall Mac OS or to completely erase the computer. Note this is erasing Touch Bar data, it is NOT force refreshing Touch Bar on the Mac and thus is really not a troubleshooting step, though it’ll undoubtedly be used as one for some unusual Touch Bar situations. I’m not sure how bad this is because I don’t have a touchbar. What information can be stored there? Anything personal?